I believe that if you're not investing at least 20% of your time, energy and money on yourself and on your business you're a very poor judge of a great investment. 1) Join me in a candid and convivial in camera conversation with Australia's number one small business author Andrew Griffiths. You must register before 5 pm AEST tomorrow. Here's the link. While you're there you can watch last months chat with Andrew about The Energised Entrepreneur. On the 23rd July the conversation with Andrew and myself is about being a story-sharer of significance, one of 8 roles real leaders|mentors play remarkably well. 2) On the 29th July I'll be sharing details in camera online about my latest adventure - Maverick Thinkers Farm. 3) I have 3 places left for the pilot online group for Maverick Thinkers Farm. First in best dressed. Simply email me ian@ianberry.biz and express your interest. 4) You can take a 21 day trial membership of Maverick Thinkers Studio for free. Take up this offer here. 5) I've had an incredible cross section of clients this year, banking, real estate, car rental, accounting, workers compensation, local government, travel, and even nuclear energy, just to name a few. One outcome is lots of leading edge insights to share and 7 updated speaking topics. 1) Candid and convivial communication and conversations that count. 2) Changing What's Normal - all change is personal first, relationships second, and organisation third. 3) Every day innovation - how to be better one quantum leap at a time. 4) Guaranteeing you succeed in the change/s you lead - the principles of success for thriving on the challenges of change and how to apply them in your own way. 5) Remarkable is the new normal - why great is no longer good enough and the 7 areas you must be remarkable in. 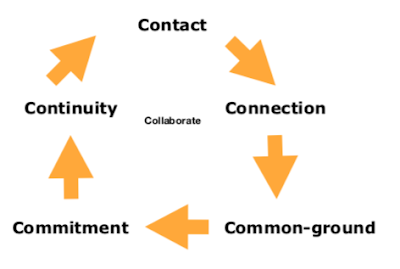 6) The significance of shared-view - the 5 areas where alignment is paramount and the 2 that underpin them. 7) Who real leaders are and what they do - character based leadership and the 8 roles 21st century leaders|mentors play remarkably well. You'll find overviews and outcomes for you of these 7 at this link. Is is time for a tailored talk/master-class for your team?